Speaking of “Wonderful”, who do you think of? Ma Weiwei who is frequently in the golden sentence ? Qiu Chen, calm and calm ? Summon Satan’s Huang Zhizhong ? April 21, Qiu Chen, Ma Weiwei, Huang Zhizhong will surprise airborne New York, new original talk show debut, gathered in Manhattan! 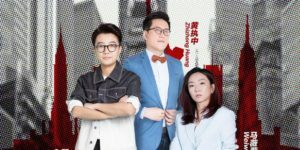 As a singer of singularity, Qiu Chen, Ma Weiwei and Huang Zhizhong have become the ” power idols ” in the minds of young people with their excellent debating ability and distinctive style of debate . However, the tickets for “Qi Yu said”, because they never sell, a ticket is rare. In order to see the true love of young people, they can only rush to grab tickets, and even on the salted fish, they have been fired for thousands of dollars. Fortunately, this time, Xi Dapu Ben, finally no salt fish! On April 21, everyone will get a rare opportunity to get close to the three great gods. The long-awaited official ticket is coming! This time, you must not miss it. In this event, every big coffee will present a well-polished, personal style single talk show. White Dragon New York will also conduct an in-depth interview with the three great gods on the spot, from “Qi Yu Shuo” to entrepreneurial life, and all kinds of topics that you care most about! “The Wonderful Story” is China’s most popular talker (debate) talent show. It has set a myth that a single- click hit of 500 million hits and a single title sponsorship fee has broken 100 million. The program process and the contestants gossip on the hot search. The debates in each issue are discussed in a heated discussion. In the first season, BBKING Ma Weiwei , in the professional debate, is also the top logic, not talking nonsense, using the super popular interpretation and sensitive reaction speed to increase the level of debate, often bursting with golden sentences, making people clap their hands. This sentence, which Ma Weiwei said five years ago, sounds classic now. Domineering, sharp, and sharp, is the impression most people have on Ma Weiwei in the first season. If you have a bottle of water to eliminate sadness, do you want to drink? At this time, Ma Weiwei was suffering from depression, taking medicine and getting good every day. My friends knew that Ma Weiwei was very painful. This bottle of medicine seems to be a life-saving medicine for Ma Weiwei. But Ma Weiwei said that she can’t drink . Then he couldn’t make a sound, and once he was stubborn, he was turned into nothing in the warmth of friendship. Everyone discovered that Ma Weiwei has been changing and growing since the beginning of the five seasons. In the fourth quarter, I shared my story and cried. Ma Weiwei recalled the whole process. She felt that this was the process of slowly relaxing, and there was a feeling that life was getting better. Such a queen seems to be fragile but more real. Today’s Ma Weiwei is still the queen. Her perspective is still unique, and her language expression still strikes the hearts of the people. Her debate, like a sharp needle, pierces the real balloon and lets you see life. Now she, after all the tempering, is still very sharp. This time, she will have a unique expression, definitely worth looking forward to. The second season, BBKING Qiu Chen , nicknamed “worms”, is very calm. Qiu Chen also came to the scene in the last season of “White Stork”, which is our old friend. Qiu Chen won the international college debate, and the winning international college debate was regarded as a lifelong dream by many Chinese debaters. In the past ten years of research, she has almost opened the universe and studied the logical deduction of thousands of arguments. Different from Ma Weiwei’s sharpest style, Qiu Chen is rationally a pillar in the world of “The Wonderful Dance”. The powerful logic and knowledge reserve allowed her to win strength in the show, so that everyone can see the deep accumulation of this professional debater. This strange nickname is all Qiu Chen’s own description. Saying that she has no bottom line / not reliable, but makes her look happy and funny. Listening to Qiu Chen’s debate, there is no tension and no shock. Most of them are laughter, laughing and laughing. If you say something, you will listen to it. But everyone smiled and laughed. Most people didn’t pay attention to the identity of Qiu Chen’s slash youth. The identity of the slash youth is the source of Qiu Chen’s unique views. If you get cancer and see death, you can better face life. Become “mournful” and see the tragedy in order to better embrace joy. Qiu Chen, who is “fascinated” to “extremely”, can always see different scenery. If we are finally exhausted by the sharpening of life, Qiu Chen tells us that funeral can also be a wonderful life. Let us join Qiu Chen to see how it shines. In the third quarter, BBKING Huang Zhizhong , nicknamed “Young Master”, is a squad of God. Mu Xin said that talent, heart and mind are indispensable, doing everything. Huang Zhizhong just happened to be all three. He is very passionate and he is motivated. In the debate, he can completely immerse you in the scenes when describing the story, constructing a vivid new world for you, and your emotions will fluctuate closely following his language. His expression of the level of arguments is often not at a certain level, but rather a statement of the perspective of God who constructed the world, both in the overall situation and in the rich. Huang Zhizhong, who is known as “Satan” in the debate, can always tell the truth of the world that we have never noticed in the story, let us rush to the top. Whether awake or fantasy, you would be willing to enter the world of Huang Zhizhong, follow in his footsteps, think together. Huang Zhizhong has too many stories to tell. A child who has never spoken to others, a man who can see the hidden truth of the world. Talking to Huang Zhizhong may be an opportunity to influence your life. Participate in the world where BBKING can speak! Exclusive news: Buying a VIP ticket will give you the opportunity to get exclusive benefits from three BBKings ! The number of coupons is limited, the hand is slow! The first step: you only need to pay attention to the following white New York public number to become a best friend; send a message in the background “White 麓 ”” to get the exclusive $8 折扣friend discount code. Step 2: Scan the QR code below or click on “Read more” in the lower left corner of this article and you will be linked to the ticketing website. Enter the discount code to purchase the discount ticket! There is no seat selection for this ticket, the seats are allocated in the order of arrival, and the early arrival is given priority to the C position in the area (the front row and the center seat). The final interpretation of the fifth anniversary celebration ticket is owned by Bailu. On the afternoon of April 21, there will be a 5th anniversary celebration of Bailu. At the celebration, everyone will have the opportunity to watch the wonderful performances of the three champions of the third quarter of the United States on the east coast of the United States. Who is the most talkative person in the US? Remarks: The three big coffees only perform, and do not participate in the second season of the game.